The results of the 2016 election left many people feeling hopeless and fearful about a more divided nation over the next four years. While some people took their frustrations to the streets with protests erupting across the nation, there are a number of young people who have been putting in the groundwork to move our nation forward beyond just election season. 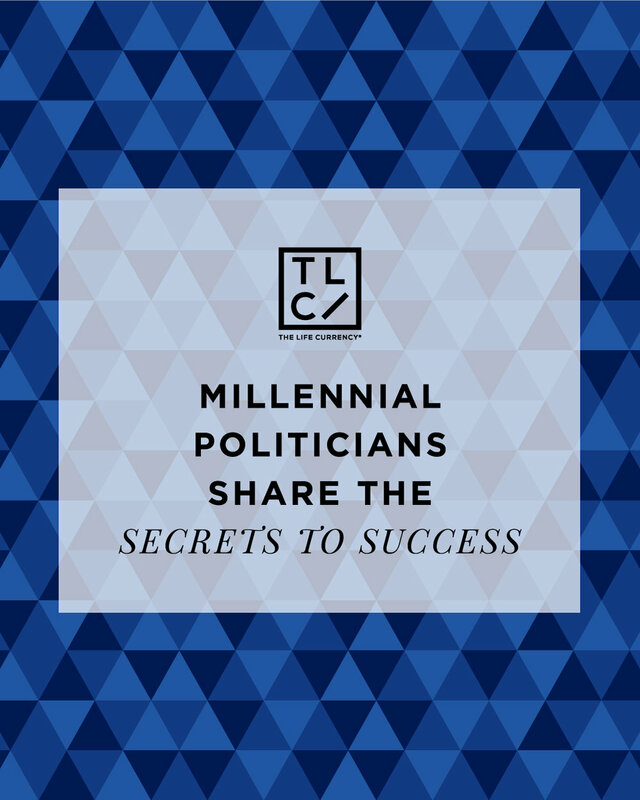 With the need for young Americans to be actively involved in their communities now more than ever, below are tips from 10 millennial politicians about why they started a career in politics and the keys to their success. 2. Symone Sanders, political commentator for CNN: Previously serving as the National Press Secretary for Sen. Bernie Sanders during his presidential campaign, Sanders, who is of no kin to the senator, now offers unapologetic commentary about civil rights, the criminal justice system and the state of politics today for CNN. In an interview with Cosmopolitan.com, she says that she’s always been vocal about her desires to work in politics and she encourages other young women to be vocal about their career dreams as well. “Don't be afraid to show up. Don't be afraid to not only sit at the table, but to speak up when you're at the table, because your voice is valuable and important,” she says. 4. Charlene Carruthers, National Director for the Black Youth Project 100: Growing up on the South Side of Chicago, Carruthers says her work as an activist started in college after attending a rally for DREAM Act, which fought on behalf of students who couldn’t attend college because of their immigration status. Continuing her fight against racial inequality, economic injustice, discrimination and the criminal justice system now as the National Director for the Black Youth Project 100, Carruthers tells Refinery29 that her advice for young people who want to get into activism is to first educate themselves on the thing they want to take action on and then find other people who care about the same thing. 6. Kelley Robinson, Deputy National Organizing Director, Planned Parenthood Action Fund: As a director of one of Planned Parenthood’s top organizations, Robinson is responsible for not only helping to defend reproductive rights, but also ensuring that these rights are protected and expanded through legislation. A proud native of Chicago, Robinson tells Rolling Stone that her mother’s constant words of “Take care of your spirit, take care of your hair, and take care of your body, cause those are the only things that we got,” is what led her to the work that she’s doing now with the reproductive rights movement. 8. Yong Jung Cho, Campaign Coordinator at 350.org: With her parents coming to the U.S. in their late 20s from Korea, Cho remembers when her family had limited access to healthcare and other social services and says she always knew she wanted a career that would allow her to help her family and other people. In an interview with Fusion, the campaign coordinator for the environmental group 350 Action says that it’s important for us to organize and build power so that we can be shifting the system. 9. Rachel Haot, Managing Director of Global Incubator 1776 and former Chief Digital Officer for New York State: Previously serving as New York’s first Chief Digital Officer, Haot played a key role in the creation of new apps for the city, Wi-Fi in public parks, and spearheading a $1 billion plan to bring high-speed internet to all New Yorkers. Now, as a managing director for global incubator 1776, Haot tells Fast Company that 1776 is the ideal intersection of tech and government, which are two things she’s very passionate about. In an earlier interview for the publication, she explains that the way she achieves her success is by having big ideas, laying out plans to achieve them and following through with execution.